Whether you’re new to the sport, or an unhooked pro, Cozumel Island in the Mexican Caribbean offers endless possibilities for kiteboarding. In the past decade, a new form of wind-powered fun has emerged, in the form of kite boarding. While a windsurfing board is pretty much like a surfboard with a sail attached to it, a kite board is more like a wakeboard, with propulsion supplied by a large traction kite held and operated by the boarder. with you piloting the plane and riding the board., it is a ski boat in the sky". You don't have to know how to windsurf to learn how to kite, and the payoff is the ability to fly. Although the sport of Kite Surfing or Kite boarding is fairly new, it is not a one-man invention and actually, people have been playing with the concept for a long time. In the 13th and 14th centuries in China and Polynesia, kite sailing was a form of transportation in the Pacific Rim! In the early 1800s, British inventor George Pocock enlarged common kites and flew them in groups to pull carts on land and boats on the water. His efforts resulted in what were, at the time, the fastest speeds on land and water. In 1919, American inventor Samuel Cody kite-sailed across the English Channel. In the late '50's, individuals used the concept of being pulled by a parachute/wings above and on water. In the mid 1970's, American kite designer Peter Powell of Florida built a two-line delta kite with which he sailed small dinghies. These kites were marketed for use with boats and buggies, and in fact, one was used by Englishman Keith Stewart with a nine-foot catamaran to cross the English Channel. In October 1977, Gijsbertus Adrianus Panhuise (of the Netherlands) received the first patent for the sport. The patent, as well as the sport, is defined as a water sport using a floating board of a surfboard-type where a pilot standing up on it is pulled by a wind-catching device of a parachute-type tied to his harness on a trapeze-type belt. Although this patent did not result in any commercial interest, Gijsbertus Adrianus Panhuise could be considered as the originator of Kite Surfing. 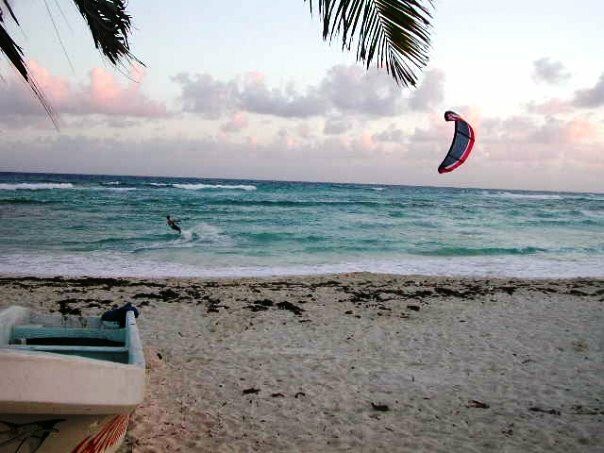 Cozumel has some of the best conditions for all wind and water sports, so kiters from all over the world come here to enjoy the perfect waters, steady breezes, reasonably flat water, and world-class teachers to show you how. The north part of the island is the best, as there are frequent north winds that blow in steadily. 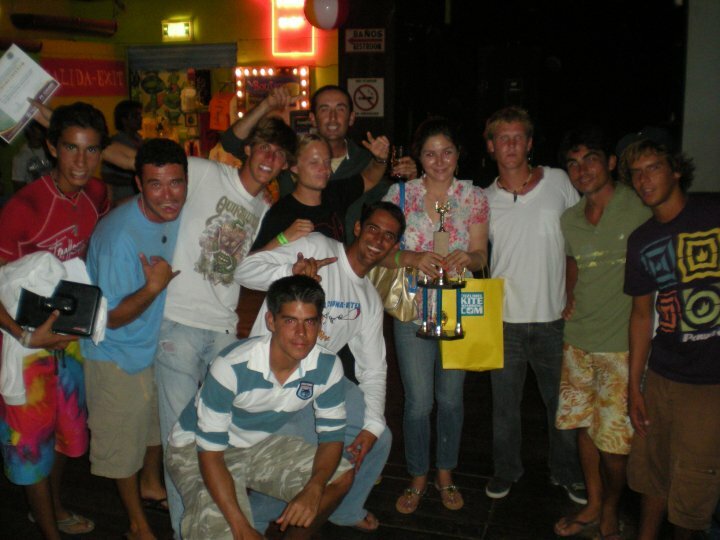 Cozumel has had a champion windsurfing team of kids from 14 to 18 years old. They have won first, second, and third places in many events and are considered national champions. 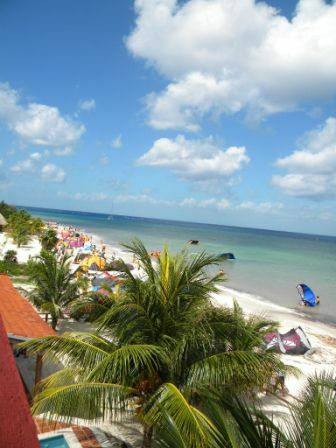 Cozumel will always be an attraction for windsurfers as well as kite boarders. 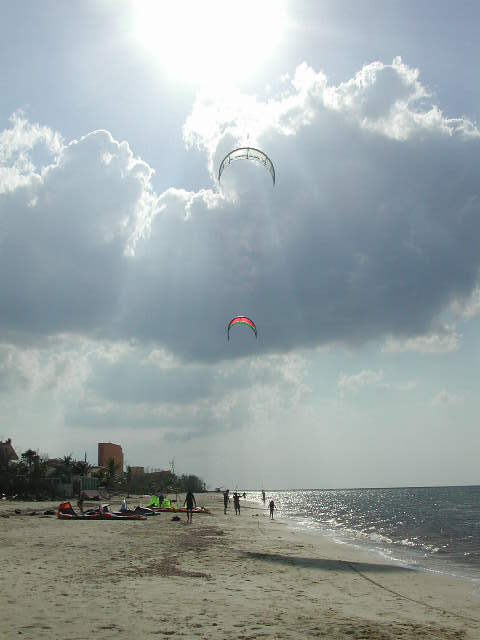 In the past couple of years, a new form of wind-powered fun has emerged in Cozumel, in the form of kite boarding. 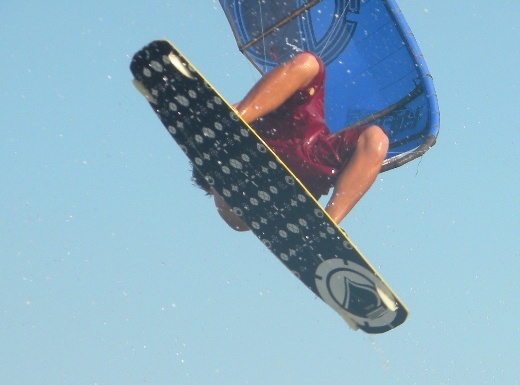 A kite board is more like a wakeboard, with propulsion supplied by a large kite held and operated by the boarder. With large kites for small winds and small kites for large winds, the energy brought under control by the boarder is considerable. There were only two kite boarders on the island until 2000. 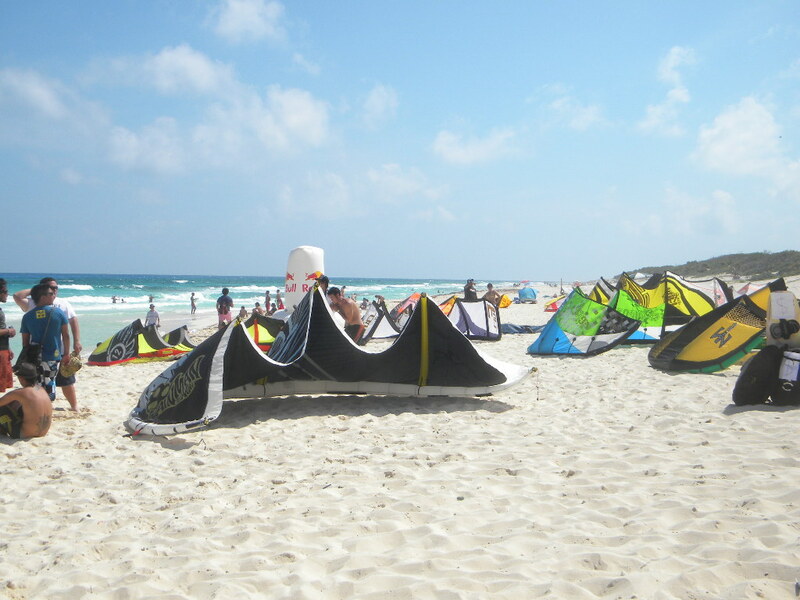 There are now many licensed and certified kite instructors and many recreational kite boarders in Cozumel. 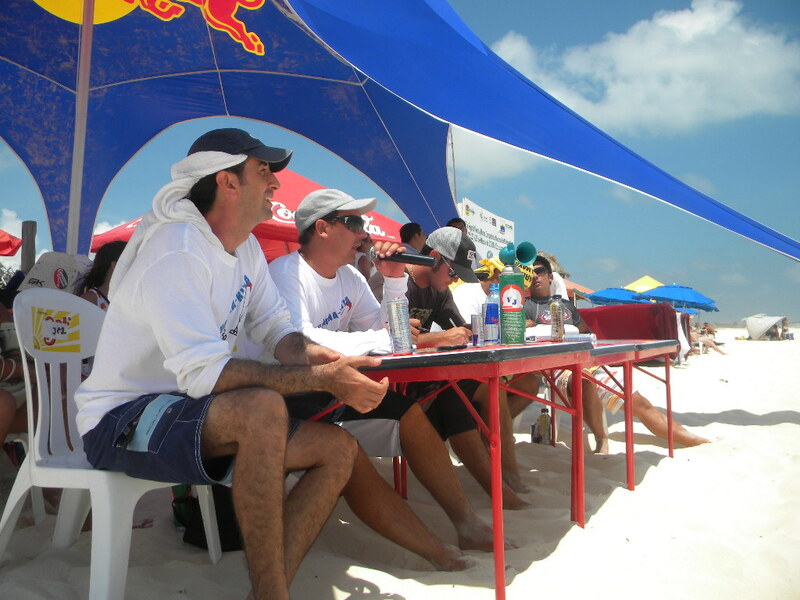 Raul de Lille pioneered the sport in 2000 in Cozumel. He makes it look so easy. He was born in Cozumel and grew up knowing the waters and the winds of Cozumel. 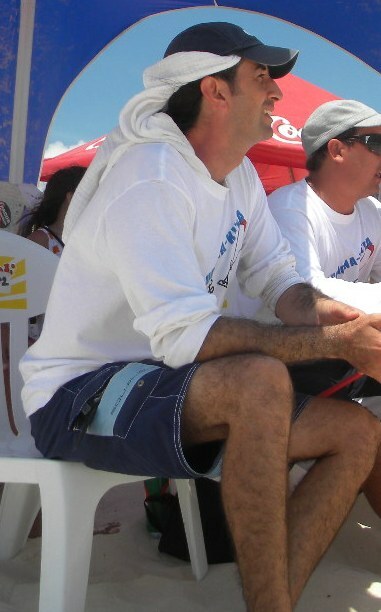 He is Mexico´s windsurfing champion and has traveled all over the world competing windsurfing. 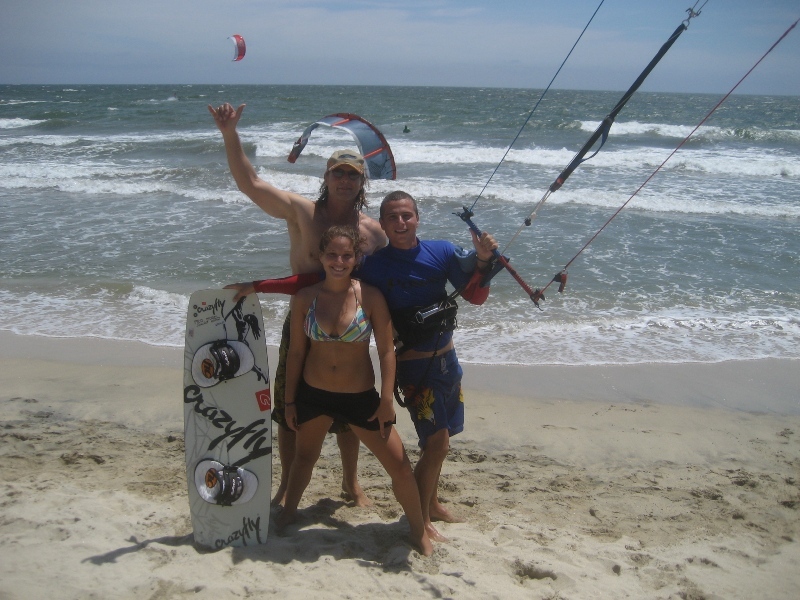 He became a PASA certified instructor and now is a full time kite board instructor. Dan Withington of Dune Buggy Tours learned about the same time. Raul taught himself and at the same time, Dan learned with him. 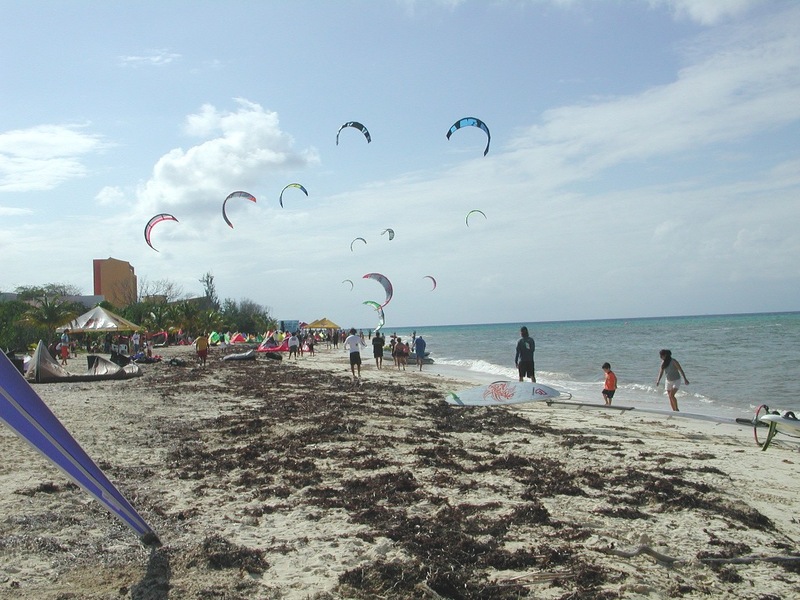 The northern part of the island is the best place to kite board on most days. With only skiing experience behind him, he learned to kite board. He is now a PASA certified instructor. In Dan's words, "Kite boarding is like wakeboarding behind an airplane, with you piloting the plane and riding the board." If you're interested in getting connected with certified instructors in kite boarding, then please email or call us and we'll get you set up. So . . .let´s go fly a kite! Kite boarding has quickly become one of the world's leading extreme sport developing with its high tech equipement now readily available. Cozumel has one of the perfect areas with many variables all coming together to provide the perfect winds. 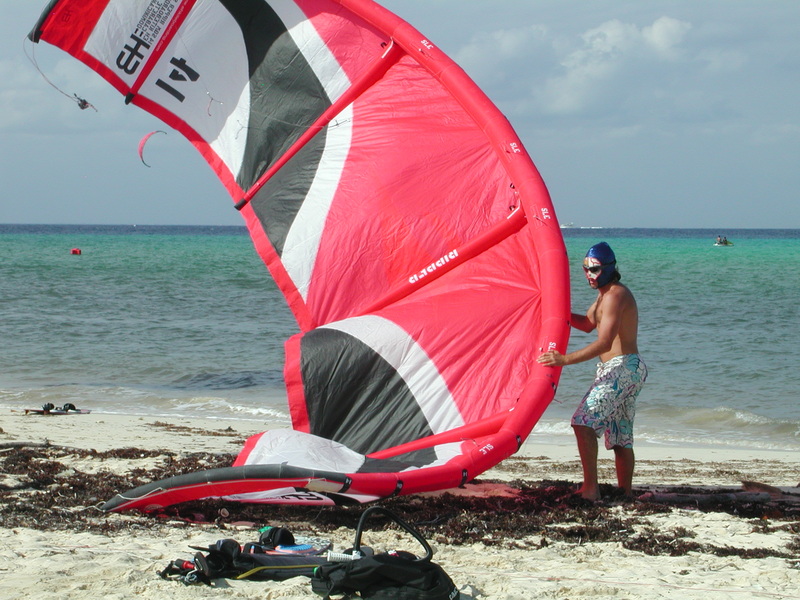 Kiteboarding has become one of the most popular recreation water sports in Cozumel. When the wind blows in Cozumel -- and it does quite often -- gliding the turquoise clear waters of Cozumel is hands down one of the most magical experiences on the island. 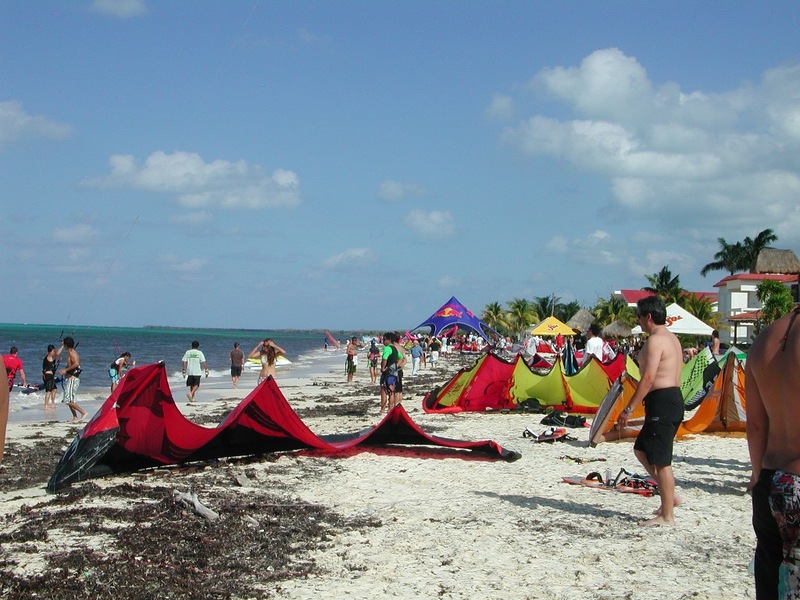 Cozumel Kiteboarding came out from the idea of a group of local kiters with one commitment: Give information about where to kite in the island of Cozumel and help others locals and tourist to get into the sport safely and fun. Our Mission is to make Cozumel a Top Kiteboarding destination in the world, diffusing information from the island to make of your vacation and unforgettable experience. As natives from the island we have all the knowledge as to where to practice the sport and we will take you to the greatest destinations to have the best time ever while you Kiteboard. Olympic windsurfer Raul De Lille had a successful career as a wind surfer. His travels took him all over the world to compete in conditions that were unlike those of Cozumel. He return a champion, cheered on by Mexico, the people of Cozumel and his family. His children grew up on his windsurfer and thus two of them, Jazmine and Jadie went on to became national champions in windsurfing as well. he now has a kiteboard school, located in the Country Club Estates. He and his 'partner' Nicole have a lovely Boutique Hotel that is just steps away from the beach. He became interested in kite boarding as soon as he found out about it. He taught himself, and at the same time, taught Dan Withington, and mastered the new sport. He continued to train with REAL kiteboarding and is now a full time instructor. 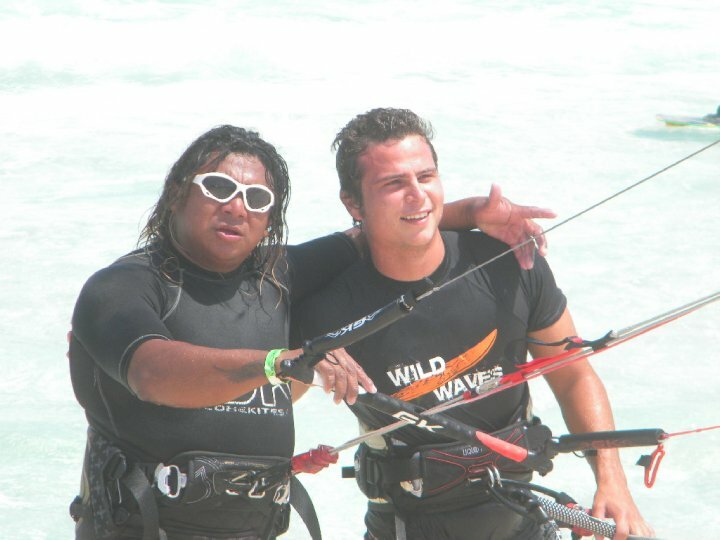 He was one of the first to introduce kitesurfing to Cozumel. Raul is one of Cozumel's top instructors of the island. Be sure to book your reservation for instruction in advance. He is a PASA certified instructor. To contact Raul: Send mail! Dan didn't have any windsurfing experience but grew up skiing in rivers, on snow covered moutains,and remained a toned athlete through the years. After Raul and he learned to kite, the two of them learned technique and practised together. Kiting, like most water sports requires two people; a buddy system. So they practised together. He has enjoyed competing in different kite meets and has won a few awards. His most important student is his son, Adam. Adamhas been kiting professionally, sincethe PKRA 2007 world tour. Dan is a PASA certified instructor. To contact Dan: Send mail! Tom has been windsurfing Cozumel for over twenty years, coming down for weeks or months at a time from Canada. He started kiting with Raul and Dan as soon as he came for his next trip. Tom has a condo located just behind 'kite beach' that is available for rentals. Please contact us for reservations: 866 396-4230. To contact Tom: Send mail! Adrian is the islands biggest activist to educated people about kiting. He learned to kite with just a few instructions, and got better by practicing. He met the PADI instructors when they came to Cozumel and got his teaching certification, after giving free lessons to anyone he saw on the beach. He gives kite lessons and on his free time, offers unique tours around the island, and into the waters. 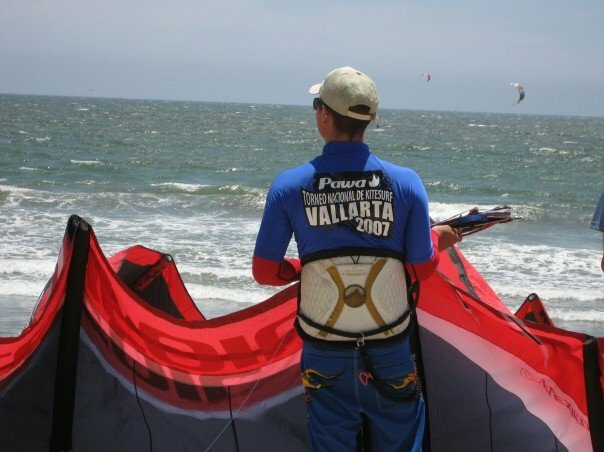 is a PASA certified instructor and has the best kite equipment store on the island-Puro Mar. They carry bathing suits, and other beach needs. He offers unique tours to Passion Island. 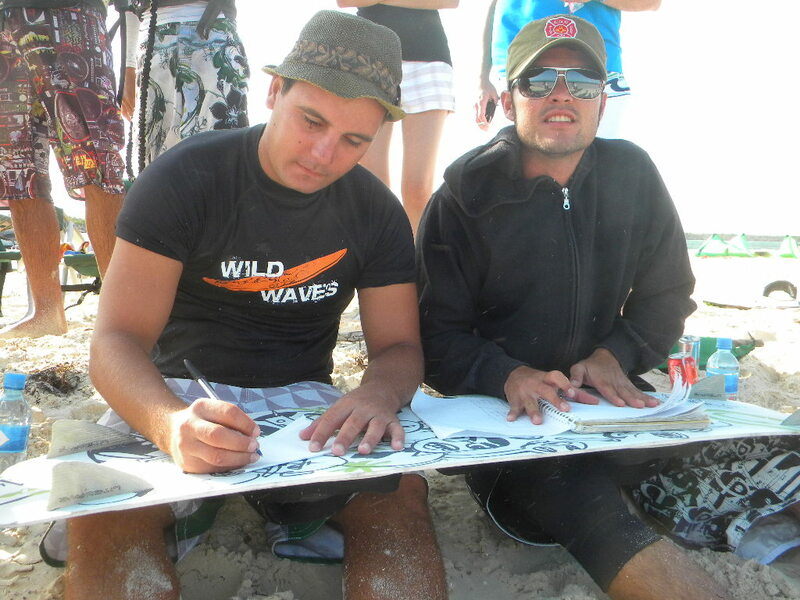 He and his wife Letty are deeply involved in VIMA, the yearly kite board tournament in Cozumel . Adrian is also head of the environmental movement, especially amoung the youth on the island. He is bringing national and international awareness to the sport and the island. To contact Adrian: Send mail! 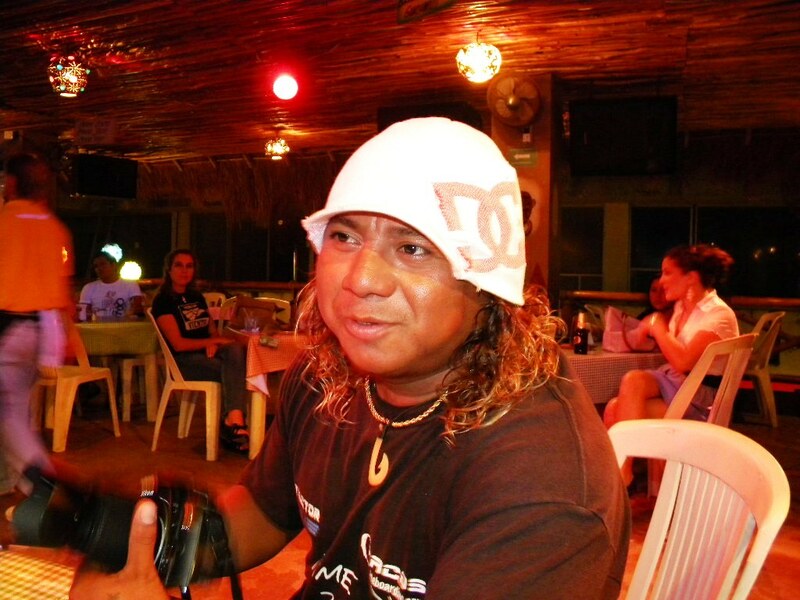 Miguel began kiting about 5 years ago, while managing one of Cozumel's most popular coffee shops, Coffee Bean. He is married and has a son. He was a judge in the 2010 Vima Tournament. To contact Miguel: Send mail! 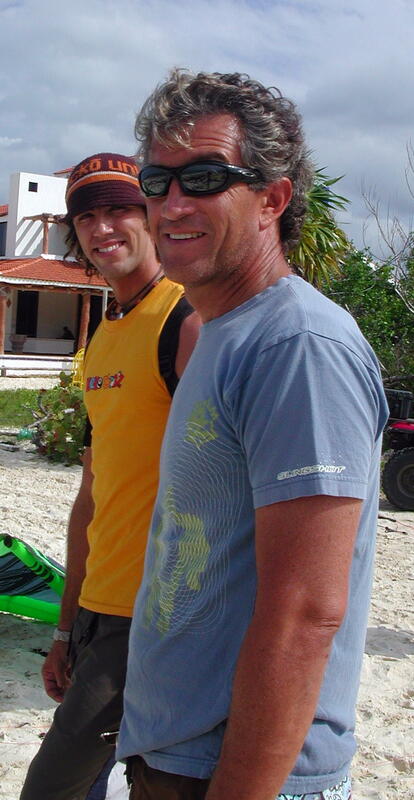 Adam was the youngest kiter from Cozumel when he began kiting 2006 at 17 years old. At that time,everyone else on the island who was kiting was in their 30's so his nick name became "Chamaco"-which in Spanish is slang for the young one. Adam started strong and began competing professionally within a couple years of learning. He works on technical skills, and is great at tricks! He is developed and skilled as others who have kited longer. Wise men call it the "genius of youth". He has lived in Cozumel all his life, with a two year experience in American high school. Adam was ranked Mexico's No.2 in 2007.He won first place in the VIMA 2010 races in Cozumel. To contact Adam: Send mail! 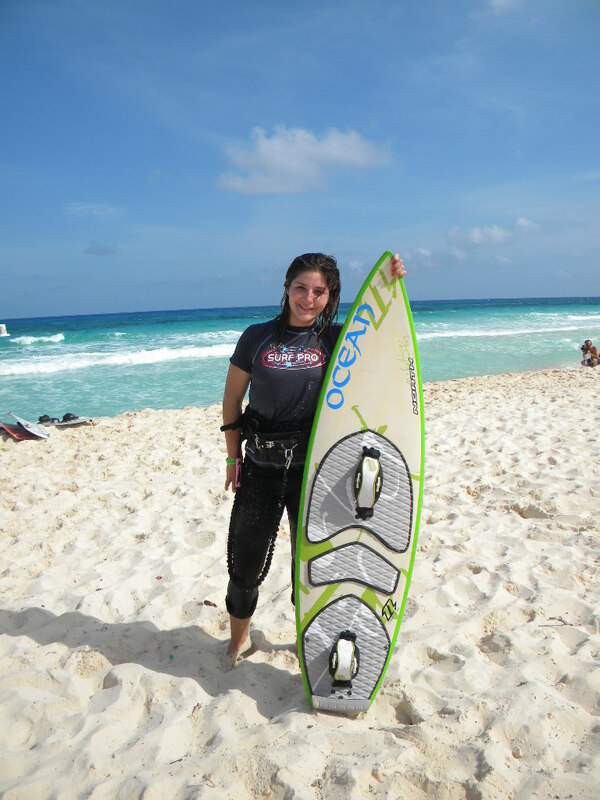 Jessica began kiteboarding in La Ventana in 2008. She was born and raided in Cozumel. &In 2003, she spent two years in the USA in high school, and then a year in Florence, Italy, where she learned to speak Italian. She now lives in La Ventana, where she is introducing a new event center, Playa Central. Playa Central will be hosting the Mexican National tournament Dec. 17-20, 2010. The event center at Playa Central will include a bakery, opening July 1, a beach club, fine dining, a kite school, kite store, and a much, much more! 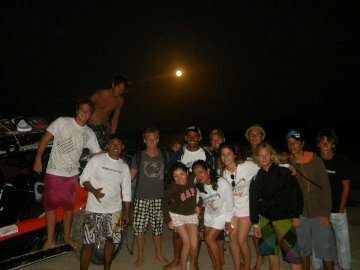 Check our here website www.laventanakiteboarding.net. Jazmin is is also from Cozumel has recently traveled "down under' in Australia and Fiji. 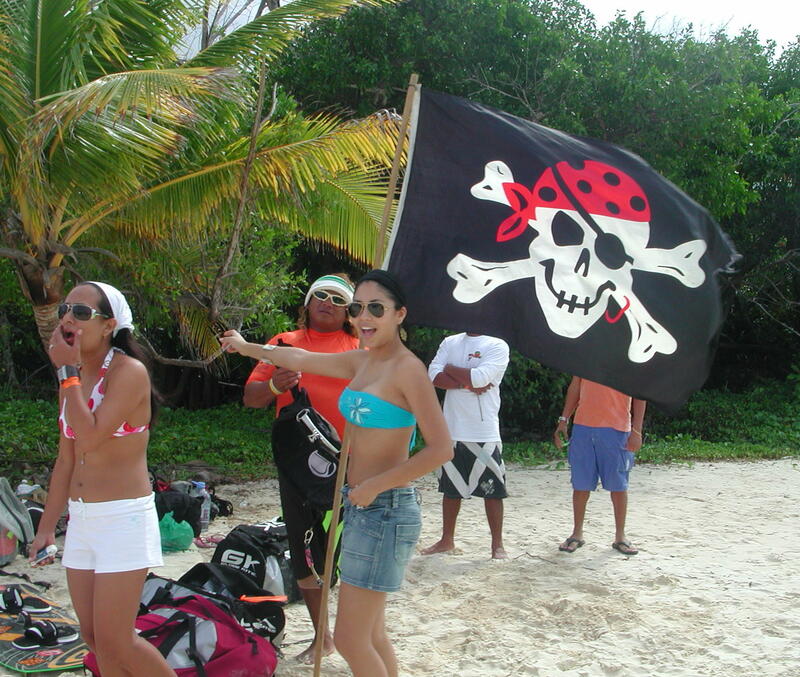 She is know as a very good professional kiter who is also an instructor. She comes to Cozumel to kite every chance she gets. She was also champion wind surfer while in junior high. Her skill as a windsurfer has made her excell at kiting. Summer months, she is usually in Oregon, kiting at the Gorge.. She'll have some good experiences when she returns. Jose recently changed from being an avid diver to being an avid kite boarder. He has lived in Cozumel for about 20 years working with tourism and even being involved with a kindergarten school. Jose kites as often as he can..
Paco Chan grew up diving in Cozumel. 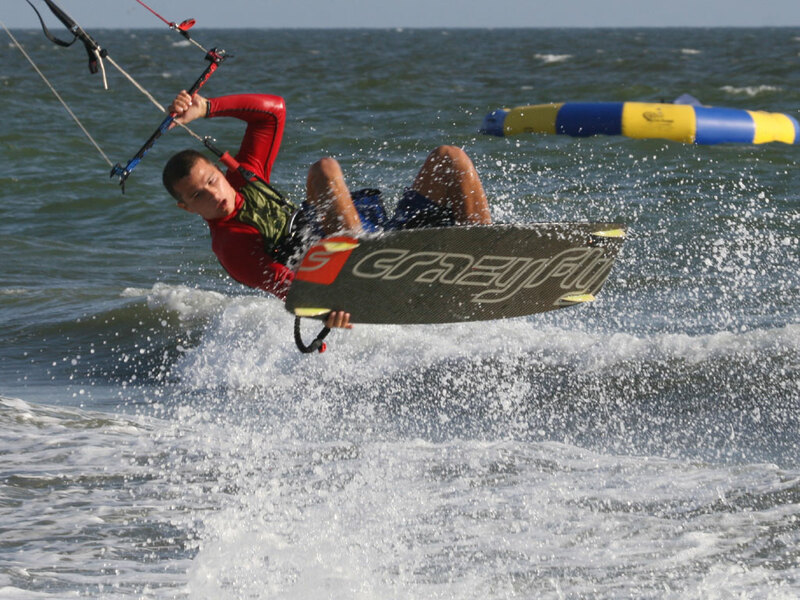 He learned to kite board about six years ago, and is now a certified PASA instructor. His unique fashion style has given him the unique opportunity to appear in many kite magazines. 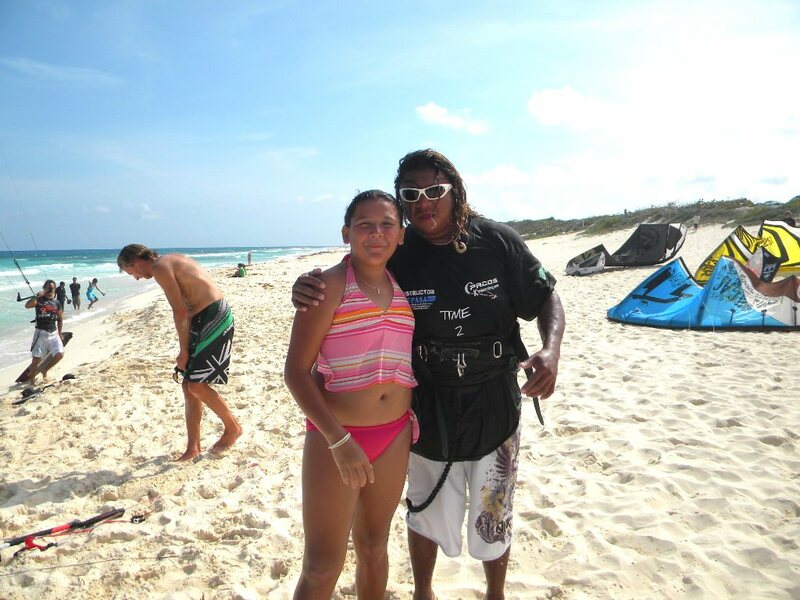 He is now one of Cozumel's best kite boarders. He won second place in 2010 VIMI racing, in Cozumel. To contact Paco: Send mail! More updates on kite boarders coming soon! 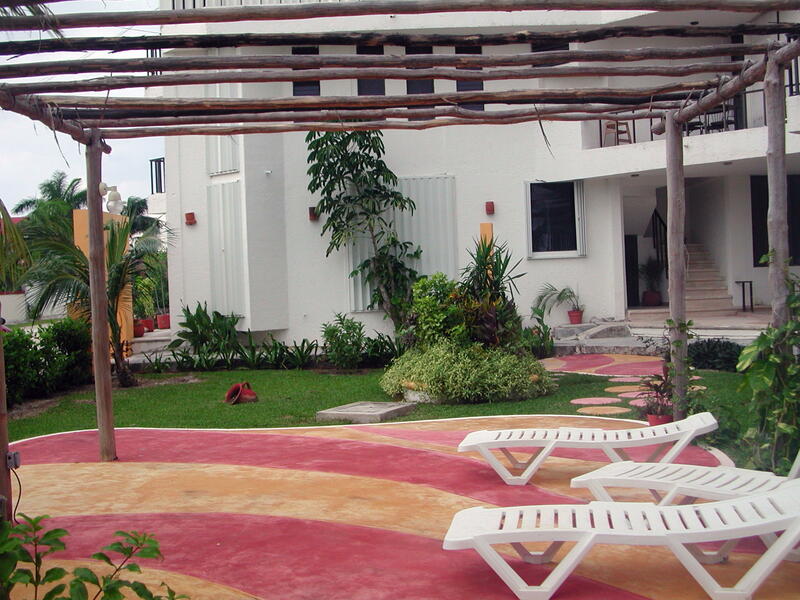 When coming to kite, the area known as Kite Beach has a few rentals homes to offer. Large beachfront homes are Villa RosMar, and Villa Presidente. There is a terrific condo in Casa Blanca Condo; Vista Bonita, (one bedroom-no children due to safety issues). There is also a condo in a home called Casa Viento with four different suites to offer. This beach is big, with soft white sand and lots of room to launch (and lunch!). 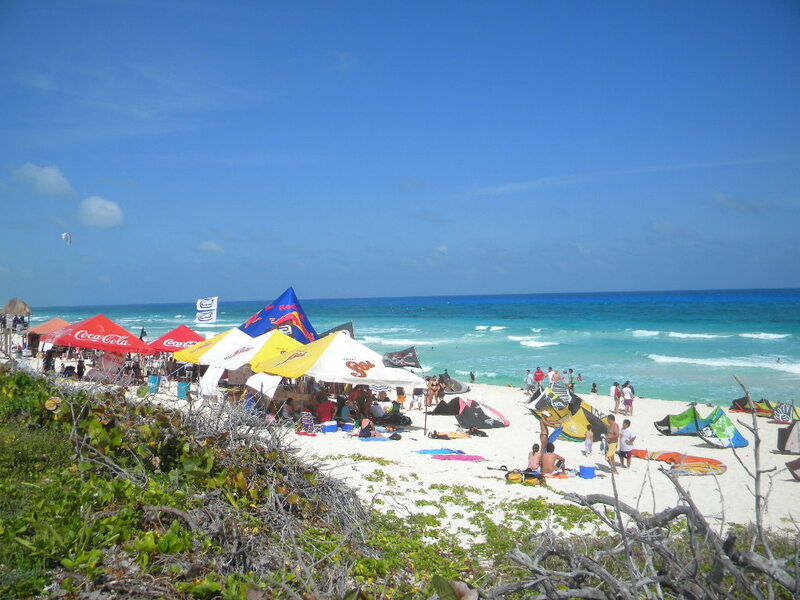 All beaches in Cozumel are public property and everyone has a right to use the beaches of Mexico. The owners of the private homes prefer to call it a private beach, mainly because they don't want kiters to set up 'camp' in front of their homes or ruin the beach. Try to stay further north along the shore, father away from the residential homes. Sealife: The occasional stingray, so be sure to shuffle your feet in the sand when going out in the water. This will quickly scare the buggers away. Ixpalbarco (aka "The Wave Ranch") : This remote spot got it's nickname for a reason. Small to medium size perfect kickers with the occasional overhead + makes this the most ideal riding spot for wave junkies. Access is very limited since the Hurricane -- there is most often a policia guarding the entry. Contact Raul De Lille or Adrian (see Lessons, below) for Local-Bro access. You may have to pay, but it's worth it. Beach: Big, sand with rocks. Exposed reef in the water. Be careful! Don't body drag in the shallows! Sealife: I haven't seen anything yet other than some beautiful birds and the occasional beach iguana. Rates may different depending on instructor. This tour teaches the theory of wind and strenth of a small kite that is flown from the beach. Practice flying kite, relaunching, and body dragging. Pair kite skills with getting up and riding. Fine tune your self launch/land and rescue. This is for serious beginners or for those who wish to improve skills. We'll take you where the wind blows and increase your riding skills. Instruction includes gear and personal water craft support when needed. Information or Reservations, click here. You might already have learned that La Ventana is one of the safest, beginner friendly, and scenic places to learn to kite from Oct-April. 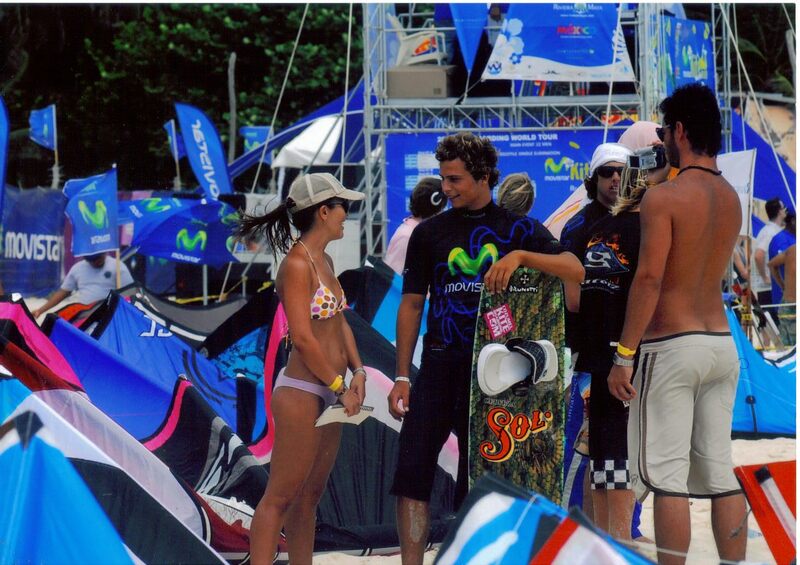 Young professional instructors with years in kiteboarding and teaching. Classes are taught with top of the line Liquid Force equipment and radio helmets, so that while you are in the water, your instructor speaks soflty into his radio from shore. There is a new school at Playa Central, which is also where most kiteschools in La Ventana launch their students from because of our ideally safe beginner friendly beach. It is the best place to hang out in between lessons and has great food for snacks and meals at the cafe' and restaurant. To learn more about Playa Central, click here.